Elara, STEM Girl: Children’s book to inspire a love for STEM! Today, we’re so excited to be joined by Leela Ayyar, an eighteen year old author of a wonderful children’s book Elara, Stem Girl that encourages a love of science, technology, engineering & Math in young girls. Leela is joining us to talk about her passion for STEM, Inspiration for Elara, stem Girl, Her journey of becoming a writer & her Kickstarter Campaign. Be sure to tune in to this episode to know more about Leela & how her book is different than the rest! 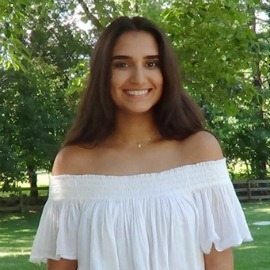 Leela is a 18 year old High School Student who has always been inspired by STEM- Science,Technology, Engineering and Math. When Leela helped her 8 year old sister who was encountering the same issues and stereotypes that she had faced, she realized that many young girls would likely face those challenges alone and that is how the children’s book Elara, STEM Girl came to be. Leela is an aspiring Astrophysicist and is active in many clubs and activities surrounding STEM such as: Kids are Scientists Too, Technology Student Association and Team America Rocketry Challenge. 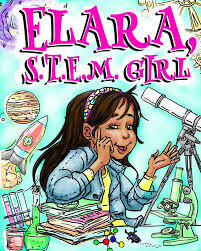 Elara, STEM Girl is a book to help encourage girls to be interested in STEM. Elara is a young girl who loves Science, Technology, Engineering & Math who conquers obstacles & shows her friends how fun STEM can be! Jed & Leela discuss how STEM attempts to answer how technology works & helps in understanding important ideas, big and small. 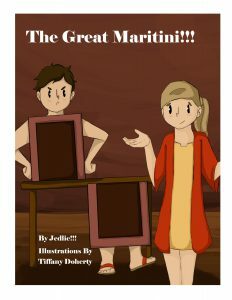 Leela explains how her book encourages young girls to continue their love for STEM by showing readers how to manage being the minority, Math anxiety, Stereotypes & fighting fear of failure. She also talks about her research & collaborative approach she used while writing her book to address the the most needed issues to encourage girls to take an interest in STEM and stick with it! Leela discusses what’s next for her after the release of Elara, Stem Girl & much more….Happy Listening! If you’ve enjoyed this episode, it’s safe to assume there are others out there like you who would also enjoy the show. Help them find it. Please rate and review our show in iTunes and share it by clicking the social media buttons at the bottom of this page. Those people will appreciate it, and you’ll feel great about yourself! PreviouslyMeet Paisley: A caterpillar’s journey into becoming a butterfly!